The word search puzzle with a difference - there&apos;s only one word to find! 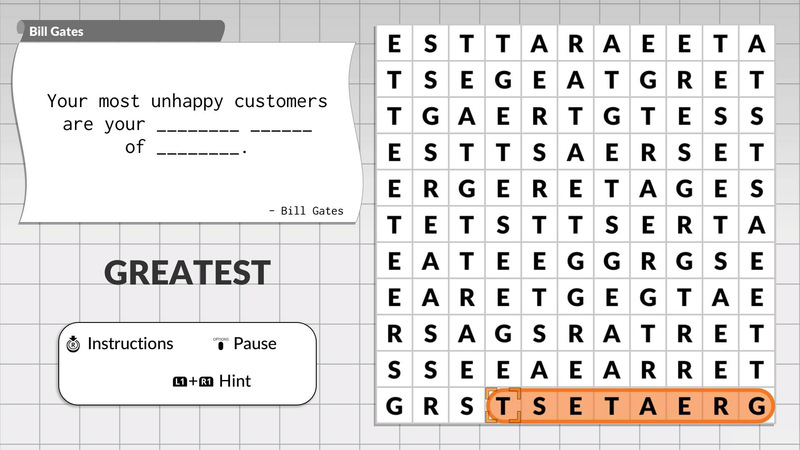 Complete each series of puzzles to reveal the words that complete a quote. © 2018 Lightwood GamesThe word search puzzle with a difference - there&apos;s only one word to find! 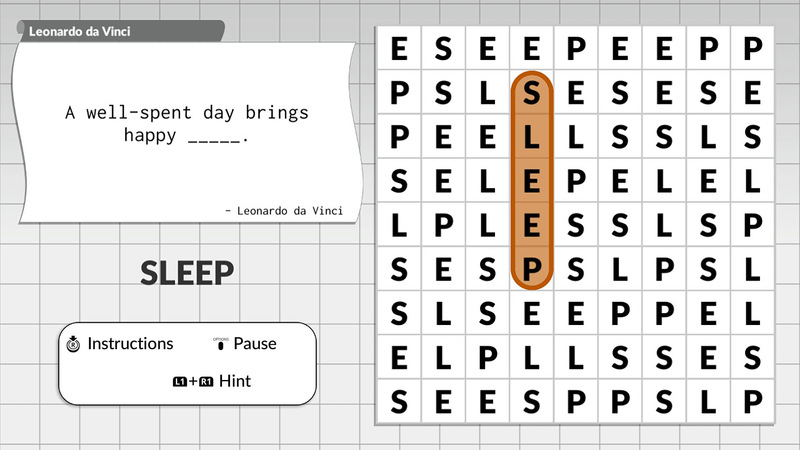 Complete each series of puzzles to reveal the words that complete a quote. There are more than 600 puzzles to complete, and 120 popular, funny and inspirational quotes. Purchasing this content entitles you to both the PS4™ system and “PS Vita” system versions!